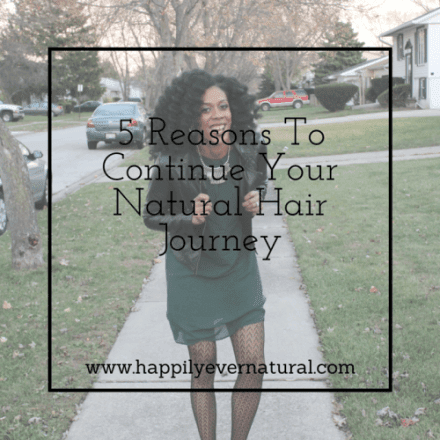 Have you reached a point where you are ready to give up on your natural hair journey? Has it been more of a struggle than a journey? Are you frustrated that your hair is not growing at the rate that you expected? Are you upset that your twist-out is a fail? I totally understand your frustration, but stop right there ladies! I am here to tell you that you can do it! Here are some reasons why! Versatility– Having natural hair lends so much versatility! One day you can rock a protective style, the next day a twist out and the next, a wash and go. There will never be a dull moment, trust me. You can switch it up and have fun (the most important part of this is to have fun!!). Freedom– You don’t have to worry about sweating your relaxer out because you went to a party and your favorite song came on! Fear no more! You can go to the gym and workout. You can walk outside and not be afraid of the rain. You will not melt! “I’m Melting… I’m Melting….. Hair Growth– The number one question I get asked all the time is how did you grow your hair so long. My honest answer is that I quit my relaxer. Yep, I quit her, she had me all messed up. No but really, I took better care of my hair and it flourished. Patience. Persistence. Love. Your Natural hair is beautiful. No hair typing needed, it’s simply beautiful the way it grows out of your scalp. Embrace it. All jokes aside, you can do it! You got this!